Herald Square Park and Greeley Square Park managers replace automated public toilets with manual restrooms, based on the popular amenity in Bryant Park. 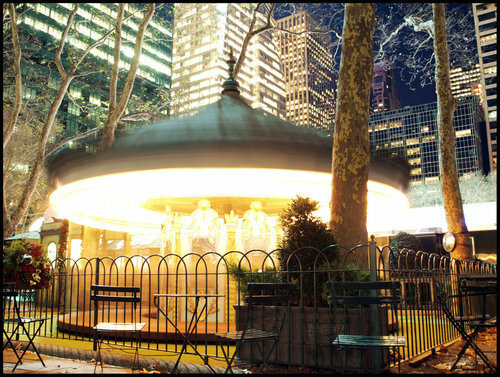 Video of Frank DiPrisco, Executive Director of Upsilon Ventures, discussing The Holiday Shops at Bryant Park. Drawings of The Pond and Celsius by artist and park passerby, Greg Betza. Popular restaurant chain wins bid to take over existing cafe in Central Park.